A Virginia resident is dead after getting infected by a strain of a flesh-eating bacterium in bodies of water in the area. WASHINGTON — A Virginia resident is dead after getting infected by a strain of a flesh-eating bacterium in bodies of water in the area. This is the first death related to the bacterium, Vibrio vulnificus, reported in Virginia this year, Katherine McCombs, the foodborne disease epidemiology program coordinator at the Virginia Department of Health, confirmed to WTOP. However, 23 people in the state have gotten ill through exposure to it, she said. 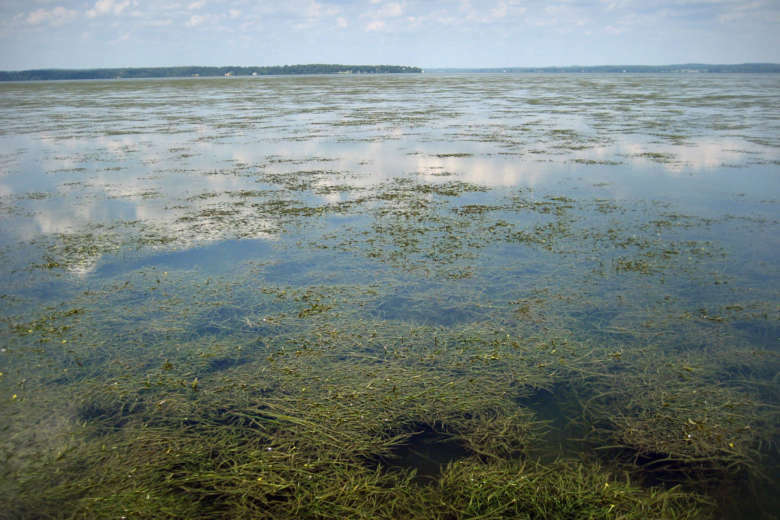 The health department didn’t say exactly where the person contracted the bacterium but McCombs said it happened in the department’s eastern region, which includes Virginia’s Northern Neck and tidewater areas that feed into the lower Chesapeake Bay. The health department said the bacterium occurs naturally in brackish water. A bacterial infection is contracted when a cut or open wound makes contact with water where the bacteria is living. McCombs said people with open cuts or wound should refrain from swimming. If someone gets a cut while they’re already in the water, they should get out and wash the cut with soap and water and then monitor the wound. A vibrio infection contracted through an open wound can cause an infection of the skin, which can lead to skin breakdown and ulcers, according to an online fact sheet from the Virginia Department of Health. Symptoms usually develop within 12 to 72 hours. More commonly, people can also be infected from vibrio by eating uncooked seafood, such as raw oysters, McCombs said. The health department infection by this strain of the bacterium is rare, although it is also underreported. Fewer than 10 cases are typically reported each year, according to the health department’s fact sheet. People with underlying health conditions, such as cirrhosis, hepatitis or liver disease, are at higher risk of developing bad outcomes if they’re infected, she said. In 2016, a man cleaning crab pots in Ocean City’s Assawoman Bay also contracted the bacteria and died from infection. Earlier this year, a man crabbing near the Delaware Bay in New Jersey also died after he was infected, according to The Washington Post. EDITOR’S NOTE: This story has been corrected to reflect the correct name of the Vibrio strain.